Michael is an experienced litigator who provides compliance, regulatory and litigation services to companies of all sizes in gaming, cannabis, health care, financial, transportation and other industries throughout the country. Michael assists casinos, video gaming terminal operators, manufacturers and distributors, game developers, video gaming establishments and other companies in all aspects of regulatory law and helps his clients navigate complex laws covering a full range of activities including video gaming, Esports, sports betting, fantasy sports, online poker, and raffles. 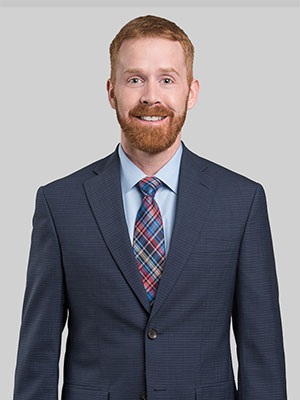 Michael assists clients applying for licenses in jurisdictions across the country and regularly represents his clients in administrative proceedings before regulatory agencies. Prior to joining Fox, Michael was an associate at Nixon Peabody (previously Ungaretti & Harris). During law school, Michael was a member of the DePaul Law Review, served as a legal writing teaching assistant and spent a summer at the Asian Legal Studies Institute at Beijing Foreign Studies University in China. Michael is active in his profession and in the community. He serves as a mentor in the Lawyer 2 Lawyer (L2L) Mentoring Program and a volunteer mentor with DePaul University College of Law's Preparing to Practice Program.